As a 360 owner, I used to hold a view that I suspect is shared among many – that the F430 is the same as the 360 apart from having a slightly more powerful engine and a better interior. I am pleased to report that I was wrong and very wide of the mark. Let’s start with the similarities. Both cars are on built the same chassis (albeit strengthened with the F430) and share many components such as the suspension, hubs, doors, roof (both spider and coupe) and bonnet. Even the front wings are the same except for the cutout for the headlight. Consequently, both cars feel the same to drive to a certain extent. However, when one starts to look into detail at the differences things start to change. No discussion would be complete without some words on the styling. Two years ago I would have said that the 360 was a much prettier car and the F430 didn’t have much going for it in the looks department. As I have spent more time with the later model this view has softened, although I still think the F430 front bumper is unresolved. As time marches on the 360 is looking better and better, something I think will benefit the F430 in the coming years too. If I had to put a number on it, I would say that comfort and refinement is about 20% better in the F430. Aside from a more modern looking interior, the cabin just feels just that little bit better (from both seats). The switches have been moved around a touch, it is nice not to have to lift a little flap to open the front boot and fuel cap (both have been moved to the dash). Minor improvements like the increased shade cover over the instrument binnacle are very welcome and all add up to the way it feels behind the wheel. One of my favourite changes is the switch to displaying temperatures in Celcius – for someone who was taught in metric it is nice to finally pack away my conversion table. However, the big ticket item in this area is the suspension mapping. The active suspension from the 360 was carried over but the factory clearly did a lot of work in further optimising how the system worked. The 360 always felt a little harsh over UK roads when running 19″ wheels – the F430 is in a different class. The 360 has always felt very planted when cornering but the F430 takes it a step further. It is very hard to describe the difference felt during “normal” driving but there is a tangible gap between the two models, which widens the faster you go. Both models were offered with a choice of manual or semi-automatic (F1) transmission. The manual cars feel very much the same to drive but there is a noticeable difference with the F1 gearbox. I should begin by saying that I really rate the F1 gearboxes, even those fitted to early 360s. In my opinion these cars are designed to be driven quickly and anything that helps with this is a good thing. The 360 F1 gearboxes need to be driven in a certain way – they have their quirks which can be driven around. I think that many people who dismiss the F1 on a 360 don’t really know how to get the most out of it. The F1 system on the F430 is in a different league though. Take off from standstill is much improved – the clutch is fed in a lot more positively that it pretty much feels like an automatic car when pulling away. Gearshift speeds at WOT are exactly the same between both tipos at 150ms. However the F430 shifts a lot faster at all other times. Another difference is the engagement of a lower gear when downshifting – the 360 sometimes felt a little lazy when dropping down the ‘box but the F430 blips the engine to the correct speed and swiftly gets the clutch closed. It is so much faster to engage that you get noticeably more braking force at the rear wheels. The engine is first of two big differences between the models. The 360 F131 was the last in the long line of engine evolution that lasted nearly 40 years whereas the F430 engine (F136) is brand new and the first in a line that has continued into the 458 and California. In stock trim the F430 has an additional 85 bhp over the 360 but this is only part of the story. 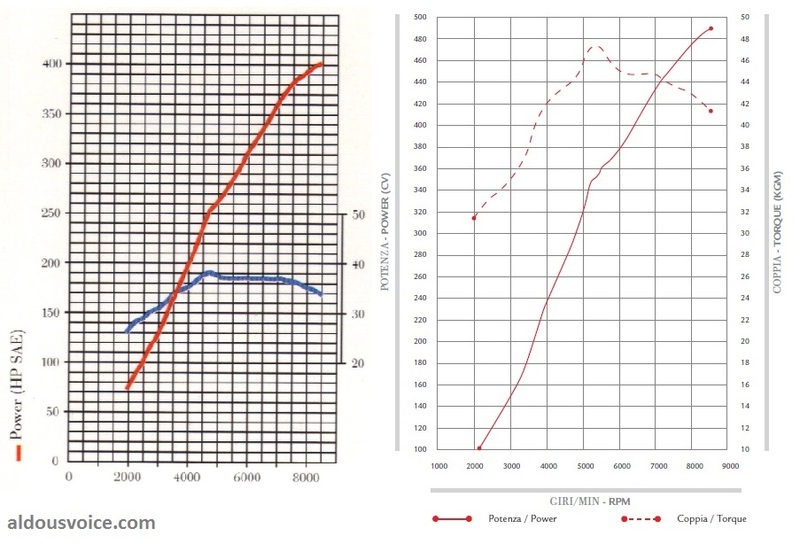 I have placed the two engine outputs side by side in the graphic below – it can be seen that the 360 has a fairly flat torque curve with a peak of 373Nm. The F430 has more torque than this available at all speeds above 3,500 rpm and tops out at 465Nm (a 25% increase). What does this mean in real life? To get the best out of the 360 engine it has to spend its time at or just below the red line. It is very easy to “bog down” in a high gear if the engine speed is allowed to drop. The F430 has none of this and is a lot easier to drive, even more so in manual trim where correcting an gear selection can be tricky after committing to a corner. I have been lucky to drive amongst some very quick cars and drivers on both roads and track. To keep up with the best of them I have always had to absolutely wring the neck out of the 360. Don’t get me wrong, driving like that is fun but with the F430 I can step it down a notch and still go faster. However, all that has invariably happened is that I’m wringing the neck out of the F430 and going much faster than before! The second big difference are the electronic control systems. The 360 has the relatively basic Anti Slip Regulation (ASR) system which cuts engine power when the rear wheels lose traction. With the car in Normal Mode this can be too intrusive even at slower speeds and at a fast pace the car can become almost undrivable. Things get better with the car in Sport Mode but I still found the power being cut when I didn’t want it to be. Obviously this can be fixed by turning the ASR off but I have only had the courage to do this a handful of times when I have been under 1-2-1 tuition from professional racing drivers. The step change was the introduction of the E-Diff to the F430. This is a very clever piece of engineering that controls the torque distribution between the two rear wheels by activating two clutches inside the diff using hydraulic fluid. The car also has ASR, CST (Stability Control), MSR (Engine braking torque adjustment) along side the E-Diff. All of these systems work in perfect harmony to provide an almost surreal driving experience. 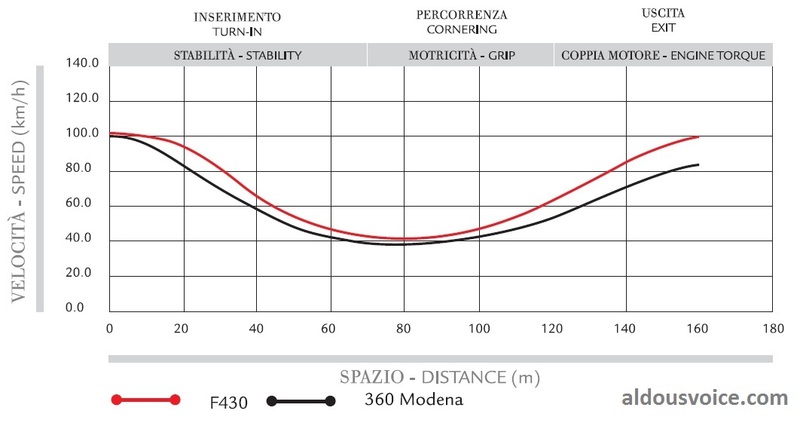 The graphic below shows the corner speeds measured by Ferrari for the 360 and F430 at the hairpin of the Fiorano Circuit. The first thing to notice is that the apex speeds are almost identical – which is to be expected as the chassis are the same. That’s pretty much the only comparable part. The F430 can carry a lot more speed in the early part of the corner and once you’re past the apex the amount of power it can put down early on is astonishing. All this adds up to the F430 being a much more fun and quicker car to drive on track. I recently spent two back-to-back days on track with my car and, despite going faster and faster, couldn’t get the car to even approach what felt like the limit. Towards the end I was nailing the thottle on the apex and getting the car into a mild drift but at all times felt under total control. I’ve never been able to do that with a 360. There is one area that the 360 wins hands down and that is the exhaust note. The F430 just doesn’t do it for me as much as the 360 did but it is a sacrifice that I’m willing to make. 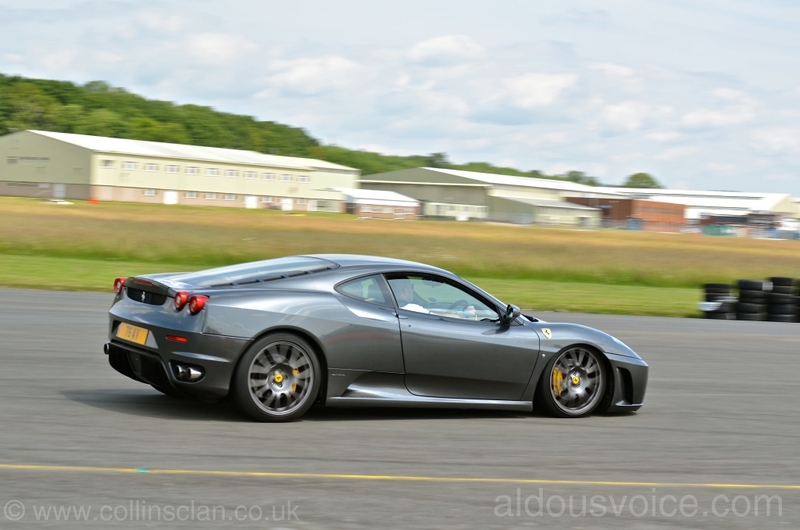 However, apart from this, there isn’t anything that the 360 does that the F430 can’t do about 20-25% better. So where does this leave us? 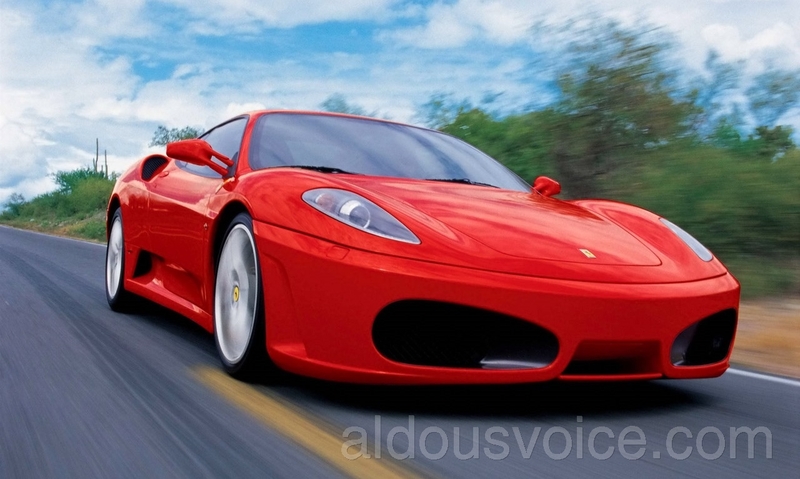 Well if you have the budget then I can recommend the F430 without question. However, I recognise that there’ll be many 360 owners out there wondering if it’s worth trading in their car and spending an extra £20k on a newer model. My answer would be to look carefully at your how you use the 360 – if you don’t see the track then you wont really get the most out of an F430. However, if you like to be on the business side of a racing circuit then it is definitely worth the upgrade. For maximum thrills ditch the OEM manifolds for an extra 20hp, fit MPSS tyres and spec carbon brakes. Great info, am trying to decide on a used 360 or 430 and this was most informative! On balance, a manual 360 coupe. I think it would be cheaper to own and has more potential to go up in value.